In offices and meeting rooms , poor acoustics increases stress and reduces productivity due to high reverberant noise levels. Mistakes are also made due to poor communications because of bad acoustics. Offices which have hard walls and ceilings are excellent reflectors of sound and contribute significantly to the general “din” in offices. Not only this does stop staff concentrating on their work but also reduces staff effectiveness in carrying out accurate tasks. Over 70% of office workers say that a reduction in noise would increase their productivity. Low cost investment in acoustic improvements leads to greater productivity, less stress and lower employee turnover. Stress and distraction are frequently reported problems associated with noise levels and its effect on staff ability to concentrate. A similar problem is encountered in meeting rooms. 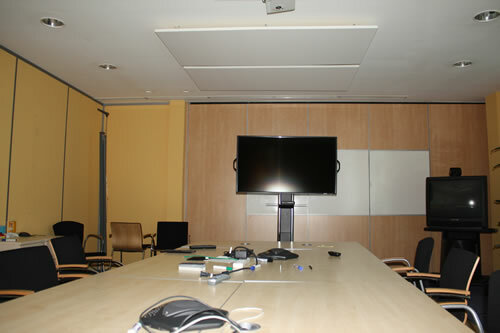 Increasingly meeting rooms have glass walls and there is limited space to apply acoustic treatment. One wall may also be used as a display screen for an overhead projector when doing presentations. 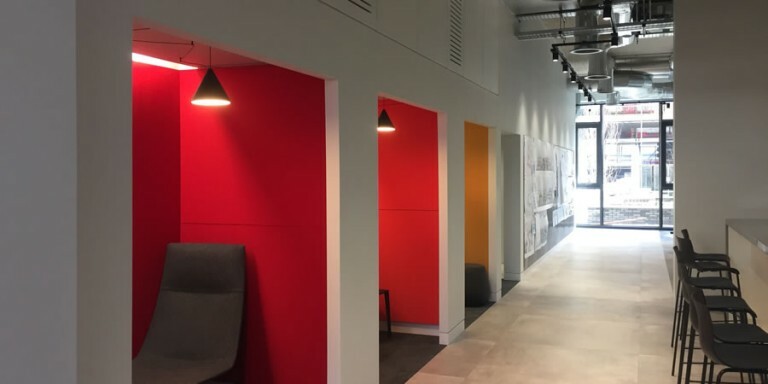 However, if you can email some photographs of the meeting room along with sizes , then our acoustic engineers can advise on the most effective and appropriate solution. These can be used to line the walls either from floor level to ceiling level or carefully chosen walls areas where customer size panels will be most appropriate. Wallsorba panels are available in over 70 standard colours and quickly transforms a cold echo ridden office into a warm, soft , quite office. With Fotosorba acoustic wall panels, you can add images to your walls whilst soaking the reverberant noise at the same time. You can choose from thousands of images from our photo library or you can send your own images which we can print onto the acoustic panels. The panels are available in standard and also customer sizes to suit the image of your choice. These are classy designer acoustic panels which bring artistic flair into an office and/or meeting room instead of standard acoustic panelling. Each shape can be used individually or put together as a pattern to form a group. They introduce stunning design into any office whilst cutting down noise levels at the same time. Cloudsorba hang in the ceiling like floating clouds and are highly effective on absorbing reverberant noise in offices and meeting rooms. They are available in a variety of sizes, shapes and colours which gives infinite possibilities on the visual looks of the ceiling area. They are ideal if there are any building services such as conduits, ducts, etc. on the ceiling as these panels are suspend below them and serve to hide the clutter . 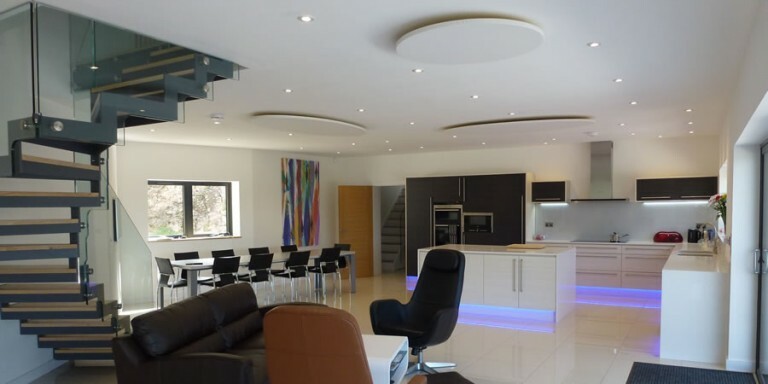 Ceilings are sometimes the only surface available onto which acoustic panels can be fitted . Echosorba is an easy and simple solutions as these acoustic panels are just glue bonded to the ceiling. They come pre-decorated in a white finish hence no further decoration is required. The surface is also easy to clean as it is just wiped cleaned. 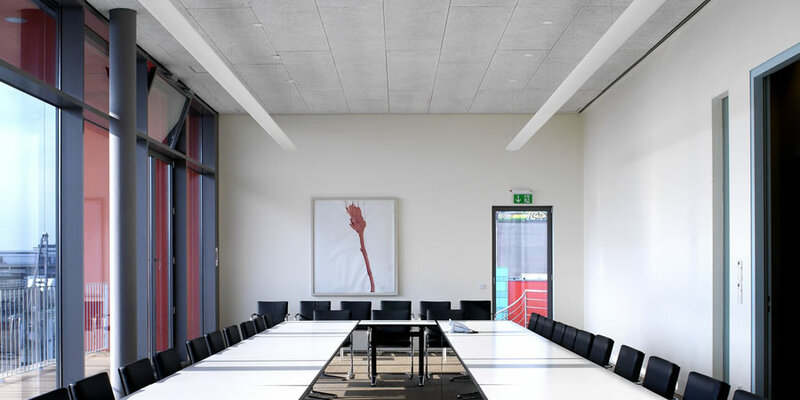 Toughsorba acoustic panels are ideal to use on ceilings and wall surfaces. Their special rustic finish adds character and the panels are robust leading to longevity. White and Beige are standard colours although any RAL colour can be supplied subject to quantity.